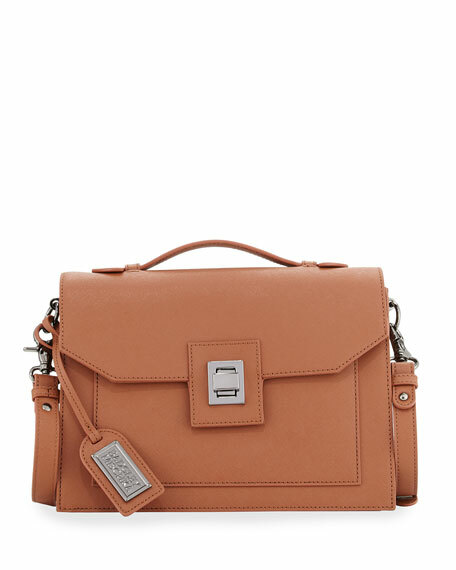 Badgley Mischka saffiano leather satchel bag. 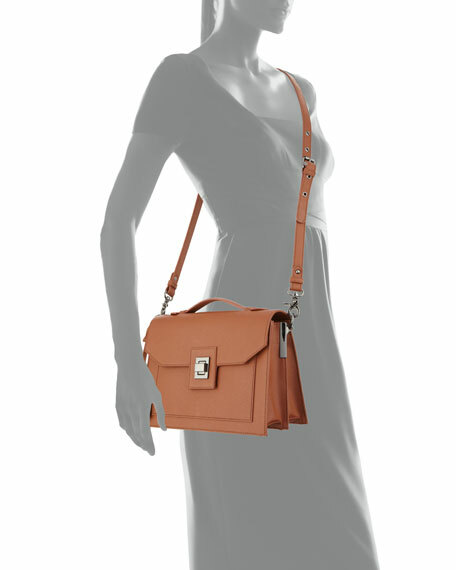 Removable shoulder strap; hanging logo charm. 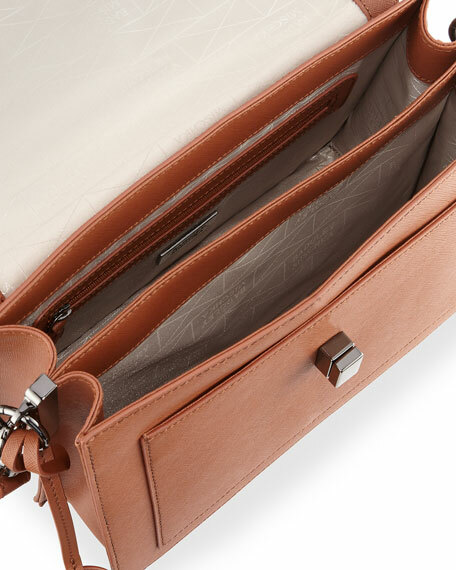 Inside, fabric lining; two compartments, one zip pocket. For in-store inquiries, use sku #1706064.